Imitates the functionality of Apple's QuickType with the ability to fill in custom elements rather than suggested words. BSWQuickType is a great way to suggest more relevant words to your users than Apple's QuickType will. 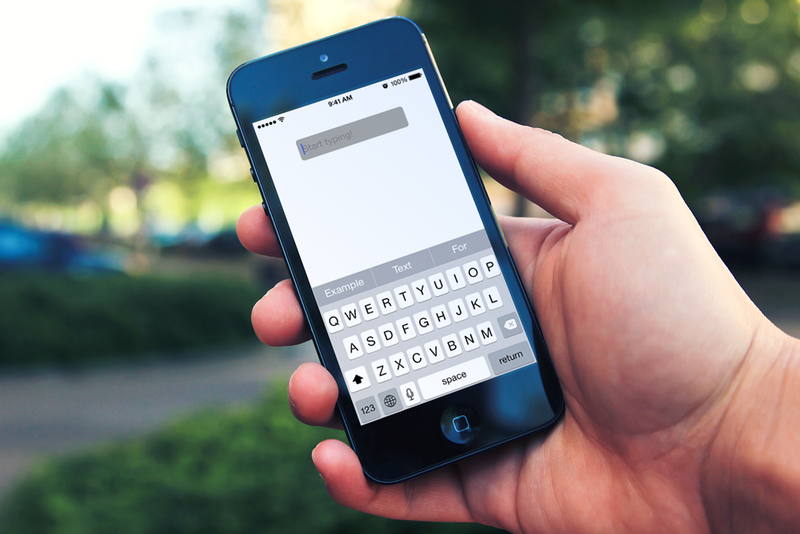 This UIScrollView works by attaching to the top of the users keyboard and allowing them to tap the suggestions. You'll then want to conform your current class to the BSWQuickTypeDelegate by adding <BSWQuickTypeDelegate> to your .h file. This'll create a BSWQuickType view object automatically, and nothing else is required in order for it to work, although there are a few configurations. This is the only protocol currently available in BSWQuickType and is called whenever a user taps a suggestion. The method allows the use of the current BSWQuickType object, the suggestion button's index, and finally the array used if filtering is enabled. - (void)hideQuickType; Hides the QuickType view from the user. - (void)showQuickType; Shows the QuickType view to the user.